I had “Live Love Lead” by Hillsong Church’s Brian Houston sitting near me recently and my husband commented that it didn’t look like the kind of book I’d usually read. It’s funny he said that, but I sort of thought the same thing when I signed up to get a copy but was intrigued anyway. Houston – who is the founder and senior pastor at Hillsong Church – uses stories from his own life and commentary on the Bible to encourage readers. All of the chapters begin with lyrics from Hillsong’s music. Houston discusses topics such as leadership, grace, shame, freedom, forgiveness, identity, compassion, and community. Certain sections of the book were more relevant to my life than others, although I was especially encouraged to embrace where God has me – the people, the trials, the celebrations, the opportunities. My personality, gifts, and location are a unique combination that God will use. Sometimes life is overwhelming. I’ve also thought of being overwhelmed as a negative place to be. But while reading “Live Love Lead,” I started to think about as a place that humbles us and drives us to Jesus. God does give us more than we can handle alone because he wants us to rely on him with grace as our foundation. Sure, it wasn’t the kind of book I’d usually read – whatever that means, really – but I’m glad I picked up “Live Love Lead.” I read some sections more than once and skimmed over others. I thought some of the thoughts were redundant and the book could have been shorter than its 272-pages, but in there were plenty of gems of truth. ABOUT THE BOOK :: How do people experience the best life that God intends for them? The answer lies in understanding that the Christian life is an adventure, and that they only have to follow the greatest Guide who ever walked the path of life – Jesus. 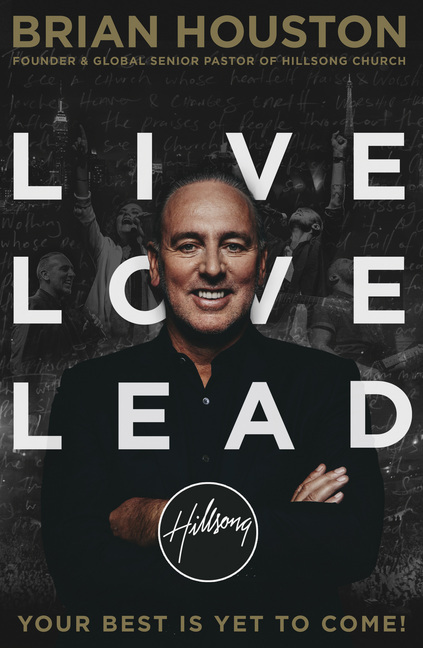 In this straightforward book, Brian Houston shows readers the way to live fully, love completely, and lead boldly – the hallmarks of Jesus’ time on earth. Hardback. 272 pages. Published on Sept. 15, 2015 by FaithWords. ABOUT THE AUTHOR :: Brian Houston is the founder and senior pastor of Hillsong Church. With global campuses around the world, including New York and Los Angeles, Hillsong has a combined weekly attendance of more than 90,000. Houston hosts one of the fastest-growing daily international broadcasts in the world. He is also executive director for Hillsong Music, one of the world’s largest producers of Christian music. He and his wife Bobbie have three grown children and live in Sydney, Australia and Orange County, California. FaithWords/Hachette Book Group gave me a free copy of “Live Love Lead” in exchange for a review, but these opinions are mine.